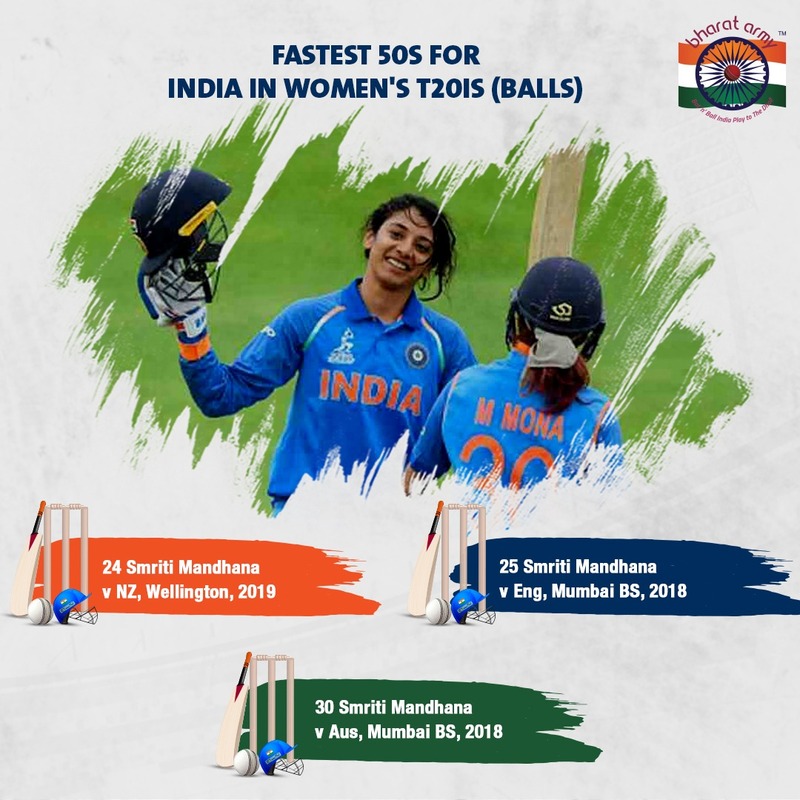 Smriti Mandhana's 24-ball 50- the fastest ever by an Indian woman, went in vain as India capitulated from a position of strength to hand the White Ferns' a 23-run win in the first T20I at Wellington. Chasing 160, the Women in Blue looked prime to overhaul the Target after Mandhana  and Jemimah Rodrigues  had steadied the ship with a 98-run stand following the wicket of debutant Priya Puniya. But, Mandhana's wicket- brought about by leg-spinner Amelia Kerr, resulted in a stunning collapse as Rodrigues fell in the very next over to Lea Tahuhu, putting the entire onus on skipper Harmanpreet Kaur. Once Kaur was stumped for 17, all the hope of an Indian win went up the smoke as the similar fragilities of the middle-order ensued with seven batters registering a sub-10 score. Earlier, all-rounder, Sophie Devine dropped anchor to score a 48-ball-62, and along with Gurrey  and skipper Satterthwaite  stitched valuable partnerships of 36 and 69 runs to lend stability to the hosts' innings before an enterprising knock of 14-ball-27 pushed the total to 4-159. Lea Tahuhu was adjudged the Player of the Match for her figures of 3-20.